CBD Oil Review rates SOL CBD with four stars because it qualifies for the Quality, Charity, Mission & Innovation Badges. 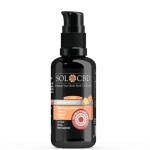 SOL✿CBD is a high integrity brand seeking to provide potent, verified clean hemp in every batch. They use domestic hemp grown in pristine organic conditions in Colorado to provide an even higher quality CBD product. The fact that the Sol CBD team goes so far as to use Miron glass for some of their packaging speaks volumes about the quality of what they produce. If you seek to find a company who is not driven by money but instead to provide quality product and education, Sol CBD is definitely worth a try! Driven by two world traveling community leaders and supported by a team of passionate individuals, Sol CBD seeks to continue making great strides towards providing fully organic CBD products sourced in the Rocky Mountains of Colorado. Sol CBD excels in sourcing some of the best hemp available, and takes excellent care during the processing to ensure a top-notch end product. The product that is the most impressive is their Liposomal CBD tincture bottled in Miron glass. This type of glass is unknowingly special to most and shows that Sol CBD cares immensely about the customer experience and delivery of their product. Unlike regular glass, Miron glass only allows for a specific spectrum of light to transfer through, which also happens to kill harmful microorganisms without degrading the product. This technology is outstanding! Liposomal delivery system was created with the intention to dramatically enhance the bioavailability of CBD (meaning, you would need less CBD to achieve the same results in comparison to say a regular CBD tincture in a carrier oil). Sol CBD’s vision is to bring CBD to those in need at an affordable price in comparison to other brands on the market– ranging from just over $27 for organic oil for your furry friends, a simple $79 for a 600mg vape oil, all the way up to $327 for a 3600mg CBD tincture in a 4 oz bottle (get more “bang for your buck!”). 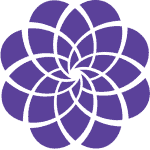 In addition to this plethora of intentional goodies, Sol CBD provides superior discounts when you buy multiples of their top selling products (ranges from 20%-45% off!). One simple suggestion to Sol CBD would be to offer up-to-date CoAs and have them posted on their site. That said, you can request CoAs for any product, and they deliver without hesitation. 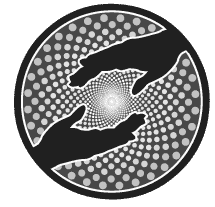 All and all, Sol CBD offers an incredibly informative and educational site providing extensive information for their customers to feel at ease with their CBD choice and experience. 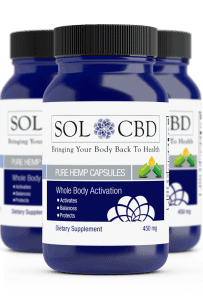 Limited Offer: Save 25% when you buy 3 bottles of SOL CBD Pure Hemp Capsules. SOL CBD sources 100% organic hemp from some of the finest growers in the world. Sol CBD strives to educate, inspire, and provide high quality CBD at a lower price. Sol CBD provides purchasing assistance to their low income customers. 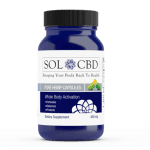 Sol CBD was one of the first in the game to offer water-soluble CBD products for increased bioavailability. Started taking CBDA oil last year and has helped with my joint pain. Use the drops under tongue. I found it in Florida last year. I am 80 years old and it has helped me. Just wanted to known what the best CBDA out there and how much to take. Let me know. Need to get some more.